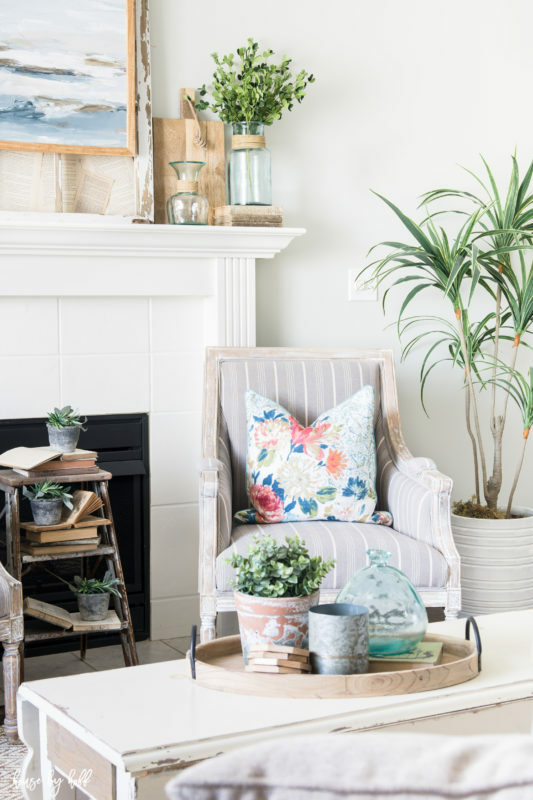 Plants (fake or real) bring softness, texture, fullness, color, and an element of life to every space. 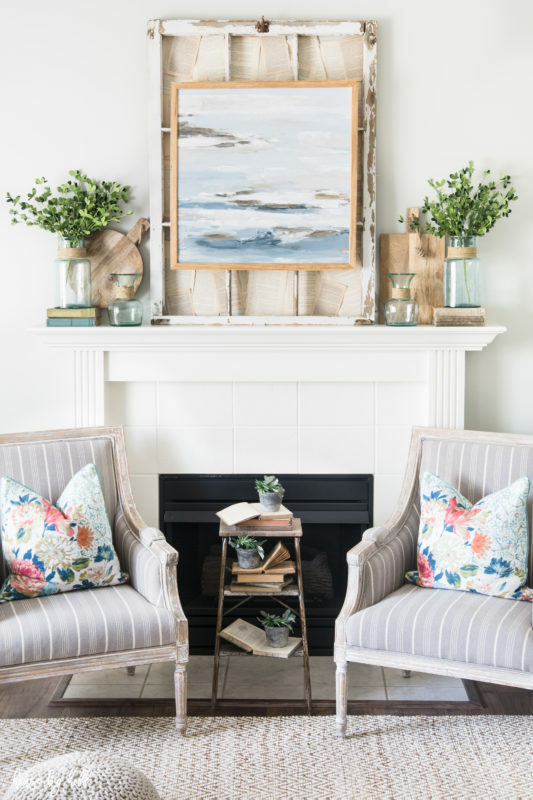 They make a room feel fresh and happy, and no space is complete without them. 1. Put fake plants in a variety of vases and containers. The picture below kind of cracks me up, I’ve literally got fake plants of every size and in every type of container in one shot. 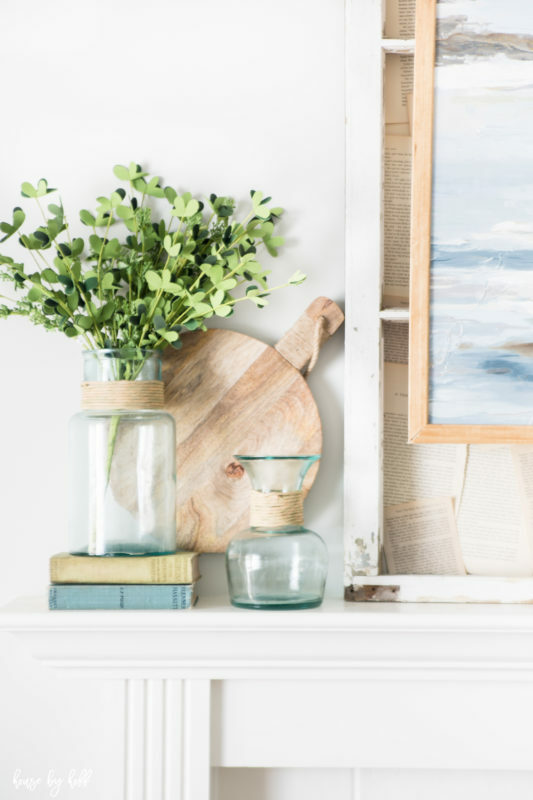 The eucalyptus leaves in the blue vase are from Kirkland’s…I could not get a link because they’re not sold online. They are some of my absolute favorites though! 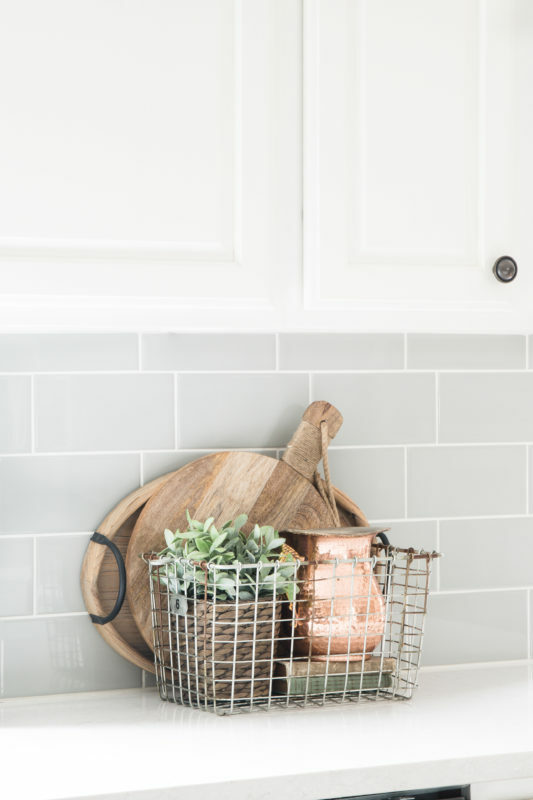 Every arrangement and vignette looks better with some green, even in the kitchen! Ummmm, but April, you just said you only decorate with fake plants. Touche, my friend, touche. On the rare event I have a living plants in my house, I like to mix them in with fake stems. When you combine real plants with fake plants, I think it makes the fake ones look even more real…did that make sense?! 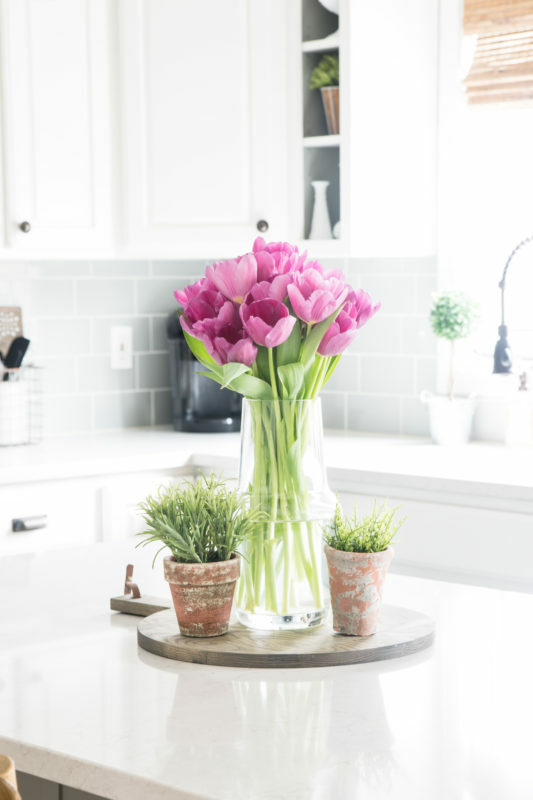 Above, I created a simple counter top arrangement by pairing real tulips (from the grocery store…I take no credit for growing them) with a few fake plants in terra-cotta pots. 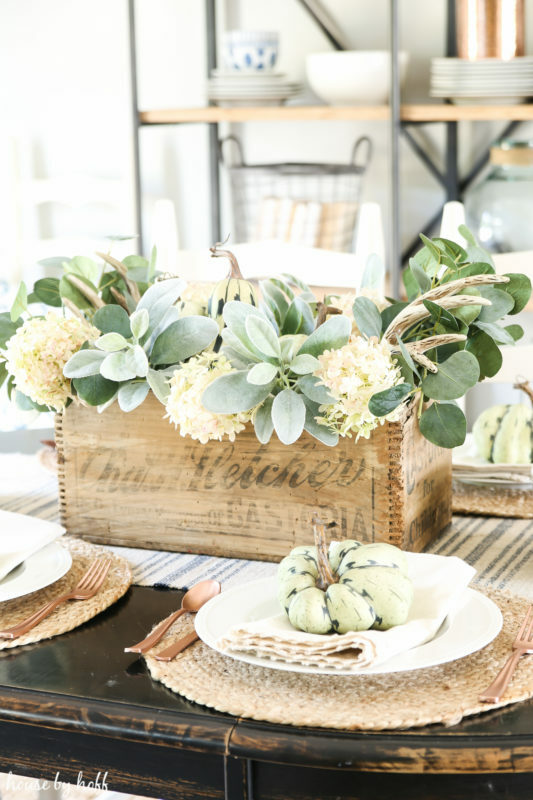 Last fall I combined real hydrangeas with fake lamb’s ear (from Hobby Lobby…I couldn’t get link for exact stem) and eucalyptus to create a pretty DIY Fall Centerpiece. Last summer I mixed up real sunflowers (again from the grocery store) with fake eucalyptus stems. I think this is a great example of the fake eucalyptus looking even more real when mixed with real flowers. 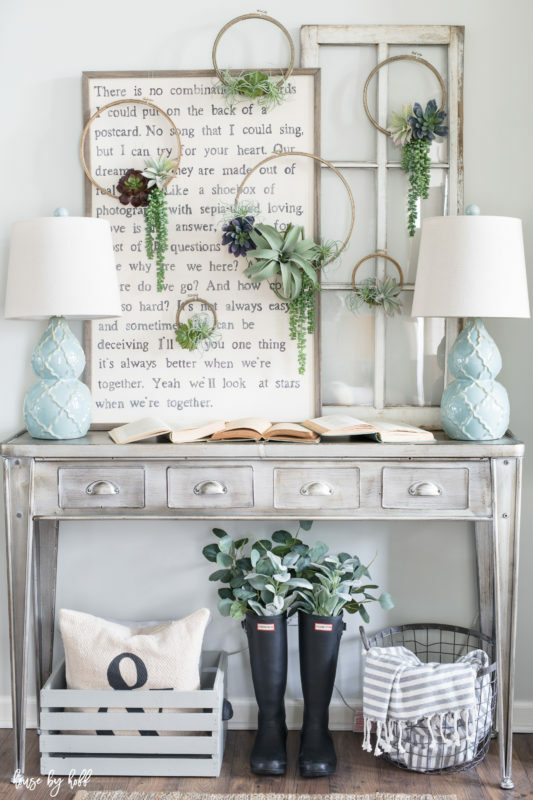 Embrace the fake plants when making decorative wreaths and hoops! 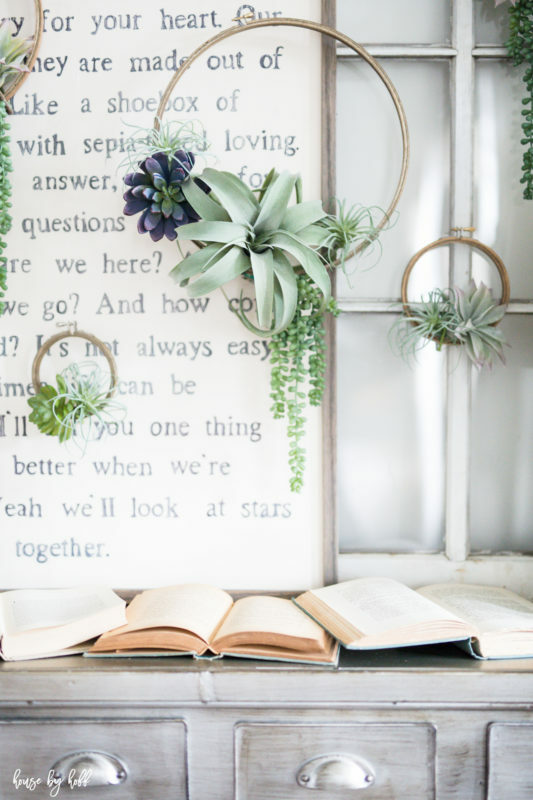 I especially love my DIY Succulent Embroider Hoops because they’re seasonally neutral. I hung these this spring, and I plan to keep them there until at least fall. Which is why I really love fake succulents. They are timeless in the sense that they can be used all year round. I also love the unexpected look of faux greenery in my Hunter boots, refer back to Tip #1). If this isn’t a good example of using faux greenery in an unexpected container, I don’t know what is…ha! Yes, my house sure would look pretty naked without faux greenery. It’s absolutely everywhere! I hope these tips gave you some ideas and inspiration! My favorite places to shop for faux greenery are: Hobby Lobby, Kirkland’s Flower Market, and Ikea. 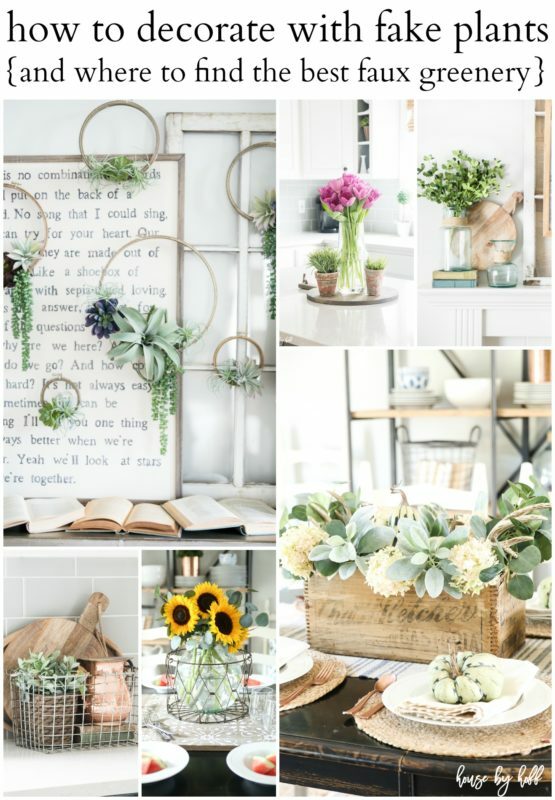 Below I am giving you all of the sources for my favorite faux plants. Favorite Lamb’s Ear: My favorite lamb’s ear is from Hobby Lobby. I could not get link because it’s not sold online. This lamb’s ear looks very similar though. 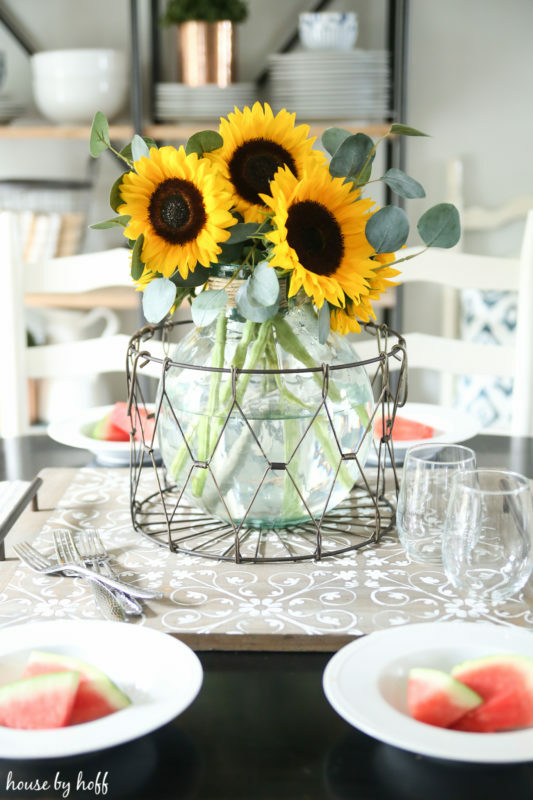 If you love these ideas, don’t forget to pin them for later!